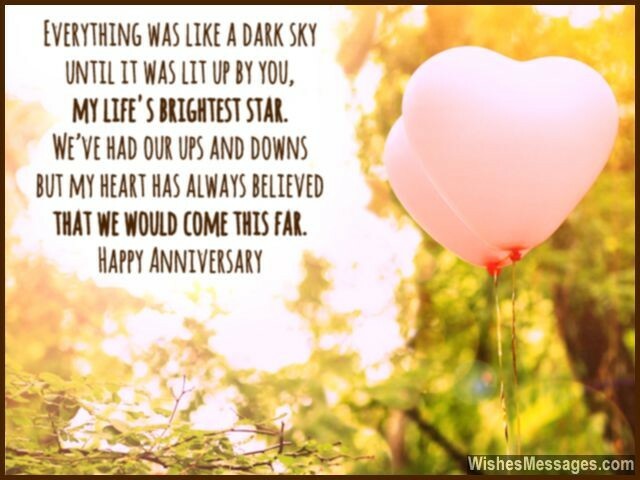 Anniversary Wishes for Boyfriend: Think about how your relationship has survived all the fights. Think about how you’ve managed to trudge through jealousy and possessiveness. Think of how you both have matured as individuals. Think about how his smile puts you in a happy place. Think about how his hugs and kisses make your heart skip beats. Now jot down all your feelings in words and write a sweet quote on a greeting card for your guy on your relationship’s anniversary. Spend the day tagging him in adorable tweets and pins on Pinterest. Send him texts and messages on Facebook. And when the time comes, look your gorgeous best when you go out on your anniversary date. Hold hands and let the sparks fly as you whisper I Love You in each others’ ears. Give him the card you’ve made for him when you exchange gifts. Let him know that thinking about the fact that you’re his girlfriend melts your heart into a gooey pile, even today. 1) Everything was like a dark sky until it was lit up by you – my life’s brightest star. We’ve had our ups and downs but my heart has always believed that we would come this far. Happy anniversary. 2) It doesn’t matter where I am. My heart is where you are. Happy anniversary. 3) From being the guy who I thought was cool to becoming the guy who made me drool. From being the guy who I thought was hot to becoming the guy who I love a lot. From being the guy who I thought could be mine to becoming the guy who made my life so fine – You have gone from being a guy I knew, to becoming the guy to whom I can’t stop saying I Love You. 6) A single second in your arms, is worth a lifetime in smiles. Happy anniversary. 7) I don’t want a celebration, I don’t want a party. Just being with you, is life’s best gift for me. Happy anniversary. 8) Every time I think about you I just go crazy and mad, because I realize that I have the best boyfriend I could have ever had. Happy anniversary. 9) You stole my heart on this very day, a long time back… and I don’t need it back. Happy anniversary. 10) To explain how much I love you, I don’t know where to start. To understand the intensity, you’ll have to dive in my heart. Endlessly vast and larger than life, it will forever be. just like the distance to the stars and the depth of the seas. Happy anniversary. 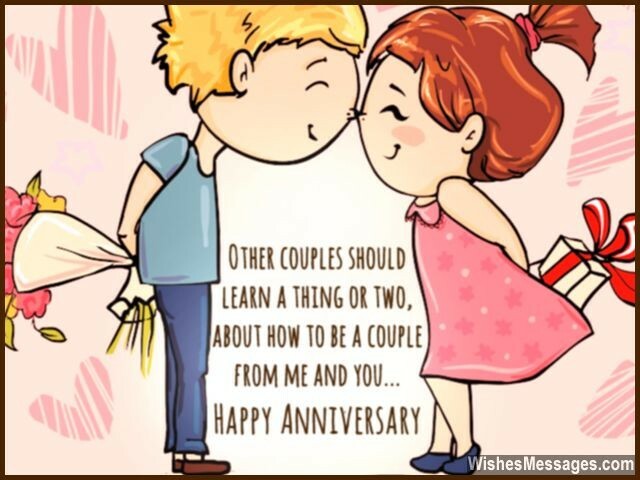 11) Other couples should learn a thing or two, about how to be a couple from me and you. Happy anniversary. 12) I never imagined that checking you out from the side of my eye would eventually lead to looking deep into your heart. Happy anniversary. 13) On twitter I dedicate all my tweets, to my boyfriend who is so sweet. On Pinterest I dedicate all my pins, to my guy who makes my heart sing. On Facebook I dedicate all my updates, to the guy who has beautifully changed my fate. Happy anniversary to him. 14) Every anniversary marks 12 full months of fending off other girls who try to flirt with my guy. Happy anniversary. 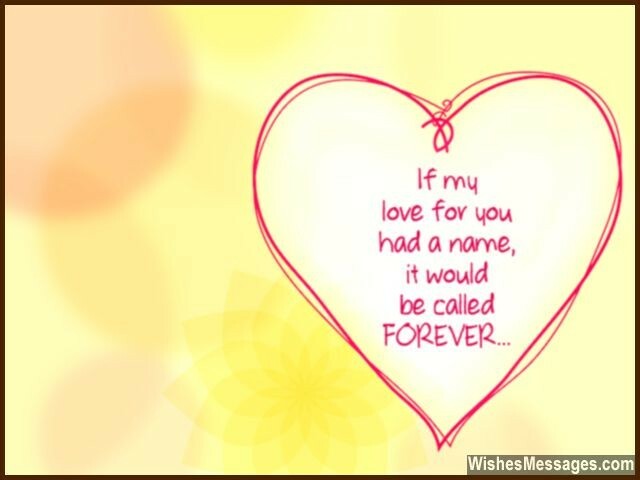 16) If my love for you had a name, it would be called FOREVER. Happy anniversary. 17) I fell for you not only because of how I got weak knees when I looked at you, but also because how you made my heart feel when you made it beat louder. Happy anniversary. 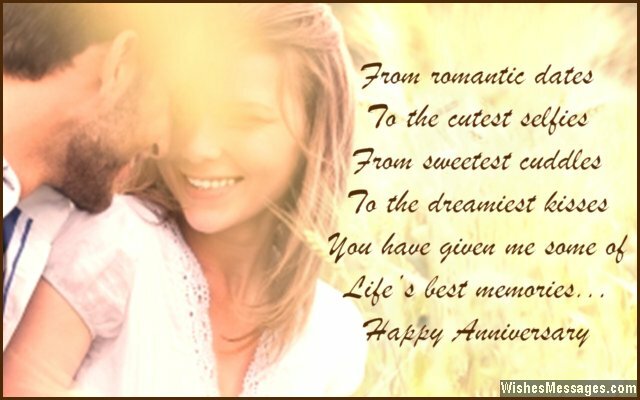 19) It is because of this special date a few years back that I have been able to share many other special days with you in my life. Happy anniversary. 20) I don’t know why it took fate so long to bring us together. But I’m happy, because now I know that we are joined at the souls, now and forever. Happy anniversary. 21) Life has come a full circle. It started with my heart wanting to be yours, to today, when it is glad that it chose to be so. Happy anniversary. 22) The first time I saw you, my heart throbbed and I got a shiver from the deepest corner of my soul. Today I realize that it was destiny trying to tell me to grab on to you… and I am glad I did. Happy anniversary. 23) Ever since I’ve been with you, my life has become an awesome playlist of songs that keep playing again and again in a loop that I hope never ends. Happy anniversary. 24) For all the times I’ve got jealous and for all the times I’ve been possessive, I am sorry but what can I do if your love is so addictive. Happy anniversary. 25) For many people the experience of a romantic kiss gets reduced to a beautiful memory. For me, it translated into a beautiful first anniversary. I love you. 26) From romantic dates to the cutest selfies, from sweetest cuddles to the dreamiest kisses, you have given me some of life’s best memories. Happy anniversary. 28) Omission of sorrow, addition of joy, deletion of pain, supplementation of happiness, obliteration of stress, accumulation of bliss – this is the calculation that adds up to our anniversary. Happy anniversary. 29) I always thought that love was the pinnacle of life’s emotions, until you came in my life and opened my world to a lot more. Happy anniversary. 30) Our anniversary may come just once a year, but it feels like we are celebrating it every day. I love you. 31) We have come a long way but we have a longer way to go. We have many more highs to share along with a few lows. 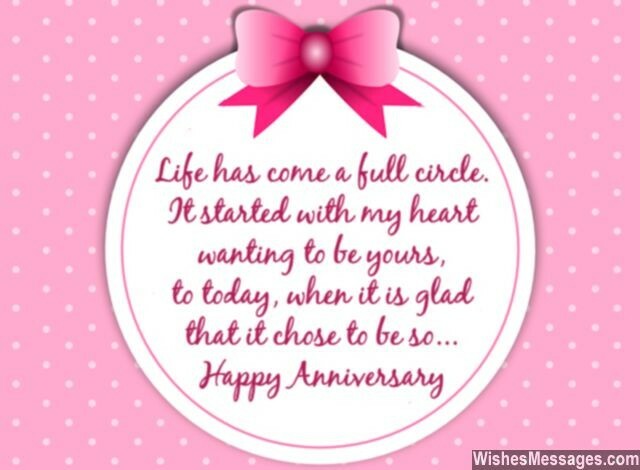 Our anniversary is that point in our love’s journey – where we can pause and realize how we have been so lucky. Happy anniversary. 32) I don’t give a damn about gifts and cards, as long as I have your hugs and sweet nothings. Happy anniversary. 34) As we flip one more year in the calendar of our relationship, let’s promise each other more love, laughter and friendship. Happy anniversary. 35) Our anniversary proves that all high school romances are not superficial, immature and short-lived. Happy anniversary. 36) When you hold me close my worries disappear in thin air, which is one of the reasons why we make the perfect pair. When I look into your eyes everything seems so calming, just like the mellow hues of sunshine in the morning. When I kiss you my whole stops for a few blissful moments, giving me a sense of complete and absolute fulfillment. Happy anniversary. 37) SCHOOL wouldn’t have been COOL, CHEERLEADING would have been DISAPPOINTING, and PROM NIGHT would have been a PLIGHT – if I wasn’t your girlfriend. Happy anniversary. 39) Is it normal for me to feel week and wobbly in my knees when I see you, even after one whole year of being together? Happy anniversary. 40) I confess that sometimes I am moody and sometimes I seem irate. But that’s simply because our love makes me a tad too passionate. Happy anniversary.